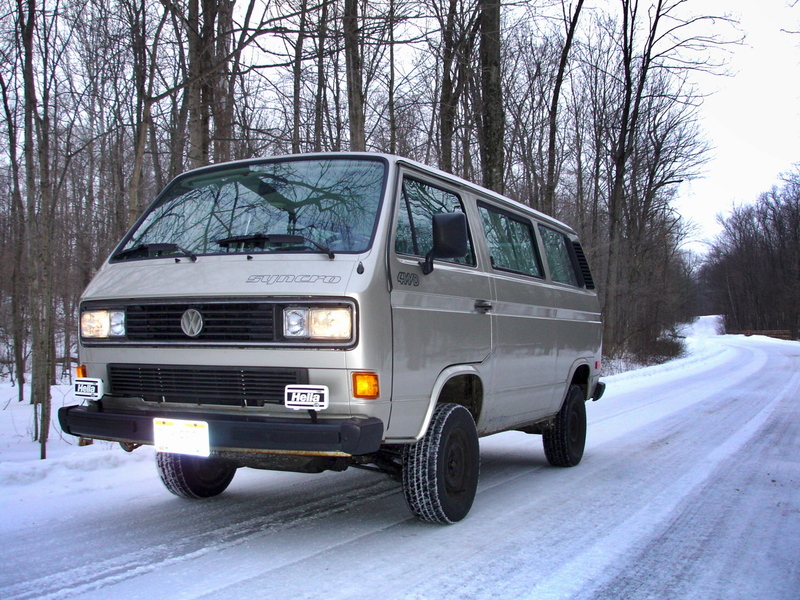 This entry was posted on February 23, 2011, 10:25 pm and is filed under syncro, vanagon. You can follow any responses to this entry through RSS 2.0. You can leave a response, or trackback from your own site. The auxiliary light brackets are 1/8 x 1in steel flat bar. I bent them to fit on the inside of the bumper and just stick above the top lip so the light Monte are just above the bumper. Imagine a weird looking S. One hole drilled though to mount to the bumper and one to mount the light to the bracket. Impact strips still work with one clip removed. I had photos of the brackets while I made them, but can’t seem to find them at the moment. If your interested I can grab some pics. Works great for the aux reverse light too. No need to drill into the body. something like what I did Brett. Congrats, its the factory way! Well close, you didn’t use those “group of 3 holes” in sub bumper?